God’s call to the priesthood for Bishop Eugene Hurley was gentle, but insistent. 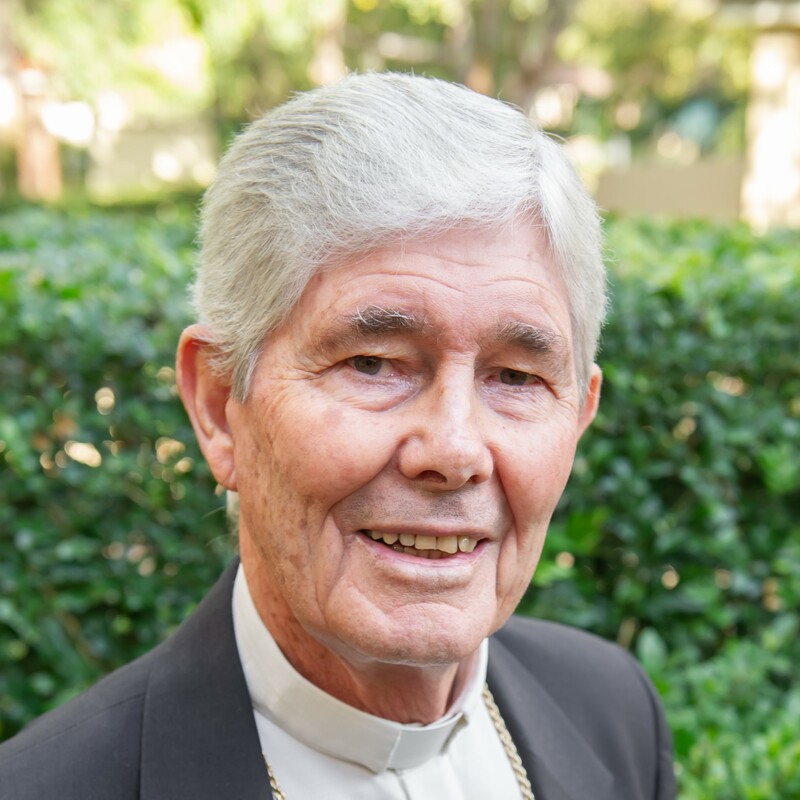 As he counts down his final days as head of the Darwin Diocese, the 78-year-old described that first call to the priesthood as a nagging, vague idea that he might want to be a priest – a feeling that he entertained for many years. It was only when he left school and found his work in Adelaide’s public service lacked fulfilment that Bishop Hurley decided to ascertain whether priesthood might be a possibility. “It was a very uncertain time for me in those early years in the seminary,” Bishop Hurley recalls. “I had begun a cadetship with the public service and they gave me 12 months’ leave, but obviously I never went back. “I’ve absolutely loved being a priest. I think I’m the most blessed person. I thank God every day for that. It’s been an extraordinary privilege and a life of enormous joy and satisfaction. The third, and youngest, son of Irish Catholic parents, Bishop Hurley spent his formative years milking cows sun up and sun down on their farm in the Flinders Ranges town of Carrieton – 300km north of Adelaide. “For me, my faith and prayer in the home was just like breathing really. It wasn’t unusual or odd or something that was tacked on; it was part of life. “My mother and father taught me great respect for people of other faiths and indeed all people,” Bishop Hurley said. His faith was further developed during his senior studies at Sacred Heart College in Adelaide. Bishop Hurley was ordained a priest in 1964 and has been a bishop for 20 years. He has spent the last 11 of these years as Bishop of Darwin, shepherding a vast diocese that takes up almost all of the Northern Territory. Reflecting on changes within the Church, Bishop Hurley said the most significant change for him as a priest was in the liturgy. Bishop Hurley said he has enjoyed being a priest during a time of three great Popes, each of whom had been wonderful for the Church. “I actually met Pope Benedict when I looked after him in Darwin in 2008. He was the most gracious and lovely man,” he said. Bishop Hurley said one of the greatest privileges of his life was the invitation into Aboriginal communities, with their deep and inspiring spirituality. “One of the great challenges for Church and government is to correct the deep injustices that have been perpetrated on our Aboriginal people over many years,” he said. Bishop Hurley sees synergies between the experience of Australia’s Indigenous people and the plight of refugees. “I think as a nation we’ve probably become very isolated from the pain and dispossession of people, be it homeless refugees or our own Indigenous people, and I think that the role of the Church is much more,” he said. “As Pope Francis says: ‘Be shepherds with the smell of sheep’. You need to not only know about the issue, but you need to know the people, their story and their face – and that makes it very different. “I’ve sat with refugees and shared with some their incredible pain of losing their children, little babies in conflict. And I’ve met with people who have suffered incredible abuse, people who have seen and experienced horrific things and have chosen that the best possible chance for them is to take the risk as a family, or whatever is left of their family, of getting on a boat with the real possibility of drowning. While Bishop Hurley has experienced the full spectrum of the human condition, his advice is one of great encouragement for young men and women considering a life of ministry. “I’d give the same advice to any that Bishop Gsell gave to Sister Anne Gardiner (the 2017 Senior Australian of the Year) as a young 22-year-old woman about to go to the Tiwi Islands. He simply said ‘Love the people’. “And, that would be my advice for anybody coming into this role. For young people considering God’s call to be a priest or a sister, ‘Do not be afraid to listen to God’s call’. 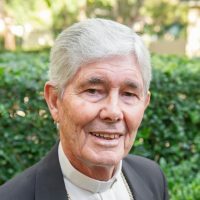 Speaking about the Church’s engagement with victims of child sexual abuse, Bishop Hurley said “we should be praying for them and rededicating ourselves to doing everything that the Church demands of us”. Looking forward, Bishop Hurley believes the Plenary Council 2020 will be an extraordinarily exciting time of renewal. “It’s a great opportunity for us to listen to the Holy Spirit in the Church and it’s an opportunity to listen to everybody. I think it’s terribly important that we listen to the little voices as well as the highly organised groups within the Church,” he said. Bishop Hurley said he was enormously grateful to all the people of the Northern Territory for their acceptance, support and affection. “I thank them, too, for the incredible inspiration they have been for me – particularly the families and my Indigenous brothers and sisters,” he said. Bishop Hurley will not be leaving the Diocese and has made a commitment to Bishop-elect Charles Gauci that he will stay to help guide and offer support. The episcopal ordination of Fr Gauci as the Bishop of Darwin will take place at St Mary’s Cathedral, Darwin, on September 26. This entry was posted in Uncategorized on September 21, 2018 by ACBC Communications.